Below is a list of the books I have published. Click the link to be redirected to my author's page at Russo's Books. Sallie was given to the men of the 11th Pennsylvania Infantry as a gift in a basket. She soon became one of the soldiers, standing under their colors, or flag, in battle. Sallie fought in many of the well-known battles of the Civil War and even met President Lincoln, who saluted her with a raise of his hat. But it was at Gettysburg that Sallie would show her true courage, refusing to leave her fallen men behind. She guarded their bodies for three days as the battle raged. Her men never forgot her loyalty, and that is why she will always be known as The Eternal Soldier. The ultimate compilation, my Prepped and Punked, Fashions of the 80s and 90s book mixed with 20s and 30s, 40s, 50s, and 60s and 70s volumes written by Rebecca Langston-George, Lori Luster, and Liz Sonneborn. If you've ever wondered how to bring more outrageous 80s style or 90s grunge to your wardrobe, this is the book for you. 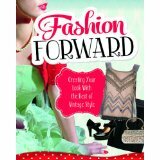 Complete with Get the Look sections and historical details, this book brings yesterday's totally rad fashions to your wardrobe. 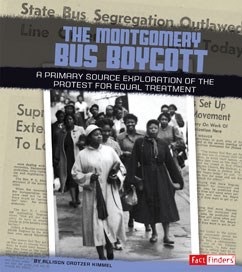 Using primary source materials from the real people who lived and fought on both sides of the Montgomery Bus Boycott, this book explores the points of view of famous Civil Rights pioneers like Rosa Parks and Dr. Martin Luther King, Jr. and the infamous bus driver, James Blake. From a slave ship surgeon to slaves themselves, abolitionists to slave owners, the voices of over two hundred years of slavery in the United States set the stage for Civil War and a new understanding of race and Union in our nation's history.